After a week in Boston connecting with fellow creatives, these are the top 3 themes from HDL 2018. Last week HOW Design Live descended on Boston, bringing thousands of creatives together to learn, inspire, and connect. During the conference, three defining themes emerged: Design is important, Creatives seek inspiration, validation, and community, and collaboration is key. Design is important. It can be easy to forget, in the daily rush to get an endless stream of creative content out to market, that design really does matter. Design and creative are not just “making it pretty” or, God forbid, “making it pop”. Creative is strategic problem solving, and design is the visual representation of that solution. Beyond its strategic role, design matters because it has very real, tangible effects on the people who interact with it. One example is accessibility. How something is designed, whether physical or digital, affects the audience’s ability to interact with it. That can mean building a website with high-contrast colors to make it easier to read for individuals with limited vision, or designing physical spaces so that individuals with mobility impairments can easily access them. Design is inspirational. That can sound sort of fluffy, but inspiration is a prerequisite for effectiveness. Inspirational design drives action, and in the context of a marketing campaign or business initiative, that action is what defines success. One specific application that highlights the importance of design is data visualization. Often, the data-driven, analytical tasks and teams are seen as very separate from creative tasks and teams. However, data has no value unless we can understand it and explain it to others. Bringing together design and creativity allows us to break “big data” out of its silo and make it actionable. Creatives seek inspiration, validation, and community. Many conferences are all about the takeaways. What are the “actionable” “next steps” to “streamline processes” and “improve outcomes”? HOW is different. Rather than flood creatives with an imposing, jargon laden list of to-dos, HOW focuses more on providing inspiration, validation, and a community for designers who often work in small or siloed teams. One big focus at HOW Design Live each year is personal and professional fulfillment. Sessions focus on how to find your way and build a satisfying career, whether that’s at an agency, as a freelancer, or as part of an in-house team. Simultaneously, session leaders and keynotes stress the importance of having your own side-projects that provide an outlet for your passion and a testing ground for developing new skills. An interesting angle at HOW this year was sessions focused on how to define success as a creative. There is no one size fits all for what it means to be “a successful designer”. Each path will be made up of personal and professional successes and failures. It is ultimately up to each individual to define success for themselves and chart a path towards that goal. Collaboration is key. A major recurring theme throughout HOW this year was the importance of collaboration between marketing and creative. 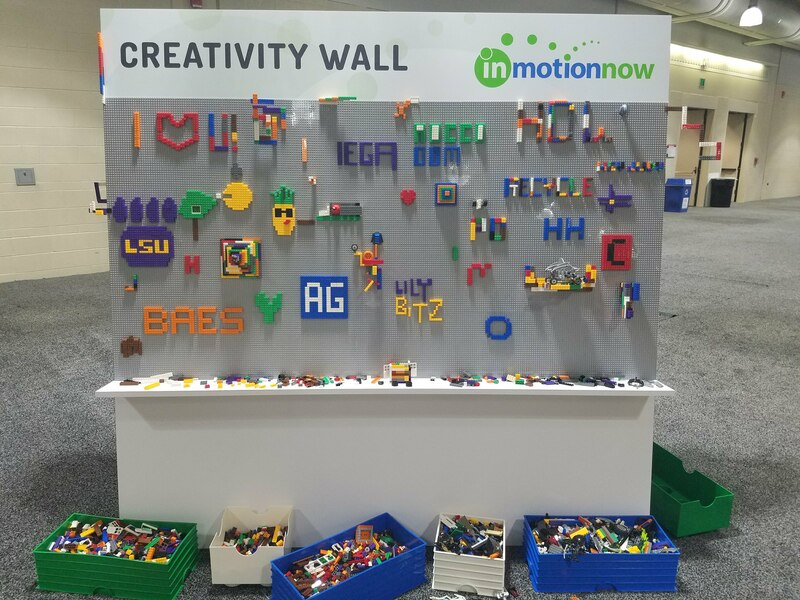 inMotionNow brought a Creativity Wall to the exhibition space where attendees could come together to unleash their creativity and collaborate together to build something AWESOME. Sessions and keynotes on HOW focused on increasing productivity with improved collaboration. Recommendations included streamlining the processes around creative work, from project intake and creative briefs, through the review and approval stages. Sessions also highlighted the importance of clear communication between creatives and their clients. Rather than assuming everyone is “speaking the same language”, creatives should focus on setting expectations with clients from the beginning of a project. One especially good tip was to include visualizations as much as possible when talking to clients. 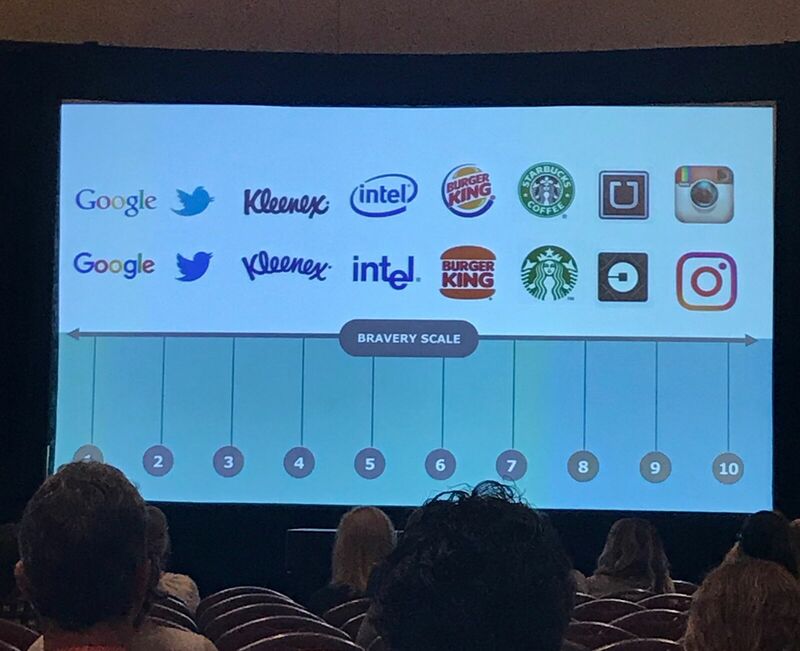 For example, if discussing re-brand initiative, show your client examples of other major, easily recognizable brands that have gone through “big” and “small” re-brandings and ask them which degree of change aligns with their expectations. Every year HOW Design Live is a great opportunity to connect with our creative peers, learn about trends in the creative industry, and grow our creative careers. 2018 in Boston was another banner year for HOW, and we’re already looking forward to HDL 2019 in Chicago!